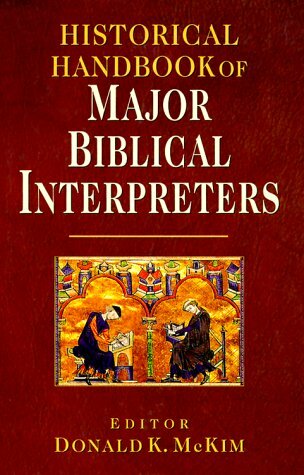 representation of approaches to biblical interpretation.This handbook is organized by historical periods, from the second century to the late twentieth century, with each period introduced by an overview essay and followed by articles on the major interpreters of the period. A final section is devoted to twentieth-century North American interpreters. Valuable bibliographies include the significant works of each interpreter as well as studies of the interpreter and important studies of each period under review.